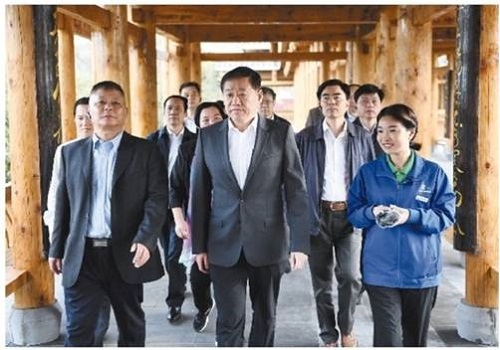 Recently, Wang Xiaodong, Member of the Standing Committee of the CPC Guangxi Committee and the Secretary of the CPC Nanning Municipal Committee, inspected the preparations for the celebration of the 60th founding anniversary of Guangxi Zhuang Autonomous Region on the spot and convened a work coordination meeting, emphasizing that we should firmly adhere to the bottom line of safety, keep a close eye on the details of the work, firmly secure the implementation of responsibilities, spare no effort and strive for excellence, so as to ensure the successful completion of various services. Wang Xiaodong pointed out that the Central Government attaches great importance to the celebration of the 60th founding anniversary of Guangxi and the society pays extensive attention to it. As the main venue for celebrations, the capital shoulders important missions and responsibilities. We should further improve our political positions, firmly hold the bottom line and ensure security and stability.